Falkreath is southern medium sized city in Skyrim, south from Riverwood and Whiterun near the mountaineous border of Skyrim. It's got an armor and weapons shop, alchemy shop, an Inn and it's led by a Jarl of Falkreath. There's a handful of Quests in Falkreath which will probably take a few days to accomplish. Unfortunately you cannot buy a house here even after Jarl Quests. Quests in Falkreath are heavily related to Vampires and Werewolves, and may not be a good quest for under level 10 character as some of the so called "bosses" are actually quite tough. I was around level 10-15 when I did this with on Master Difficulty, so if you're up to that then read forward. A decent general all-around store first house on right from western gate. On days around 10am-6pm a Blacksmith called Lod will barter with you about Armor and Weapons. He won't he in his house but on a balcony with an anvil instead. Second house on right from western gate with an anvil sign. Your place for some quests related to Falkreath or totally miscellaneous. Didn't find companion here but check anyway. First house on left from western gate. Your place for Jarl's Questline. Follow road straight up from western gate untill a big house with wooden fence and blue Stag-Banners. There's a few that you can read / steal that increase your skills. First is located in Corpselight Farm's House second house on left. Enter house, on front right from door in bookcase is the book called Racial Phylogeny that grants +Restoration. Second is in Dengeir's House, third house on left from western gate at a crossroads. Enter the house, right side of door in bookcase. Read the book called A Tale of Dro’Zira, and it will trigger a quest "Forbidden Legend" (Investigate the Gauldur Legend). This adds a map marker. Third is located in Jarl's Longhouse, from west gate, follow road straight up and you come to large house with blue stag banners. Get in, first room on right at back of the room, in a Expert level locked display case is a book called Guide To Better Thieving. It grants you +Pickpocketing. 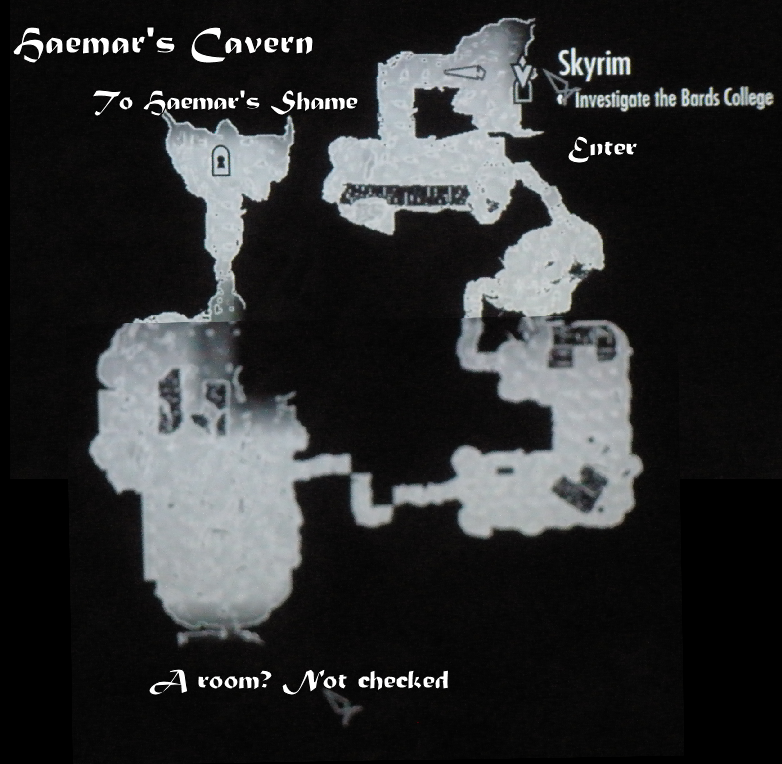 Fifth one is tricky, it's located in Temple of Dibella (Markarth) and doesn't really belong to Falkreath but anyway here how it goes: you'll be taken to the temple (Markarth) after losing a drinking competition to man named Sam Guevenne in Dead Mans Drink Inn. Im quite certain you'll have to finish up all the other Falkreath Quests before this is triggered. The book is called 2920, Sun's Dawn, v2 and it's located by taking path downstairs to Inner Sanctum by Expert Locked door. In middle of ritual room, look to southwestern bookcase and search it. - gives +Illusion. You should head to your first quest. Head into Jarl's Longhouse with wooden fence and blue stag banners. Enter the house and walk right to the Jarl who's sitting on his chair. Talk to the Jarl, he might be a bit of an annoyance but try to take it. Ask for a work. Jarl will ask you for a tribute before he will give you any real work. He asks you to get him a mead - not any regular mead - but finest Black Briar Mead. Take the quest. Note: There's an issue with the first Jarl Quest to trigger but we're yet to solve what causes it. For some reason dialogue option to "ask work from Jarl" doesn't always show up. It might be a bug. Try to travel back and forth and talk to everyone around town. If you figure out what actually makes the dialogue option available, please let us know! I never had this problem myself, but some players do. This is a piece of cake, head down to road back towards western gate 'till you come to Dead Man's Drink Inn on your right (looking from Jarl's House), get in and talk to bartender Valga Vicinia, buy one Black-Briar Mead from her. Now head back to Jarl and give him the mead. Quest Complete. By "the Hold" Jarl means Embershard Mine, this is where you need to head into. 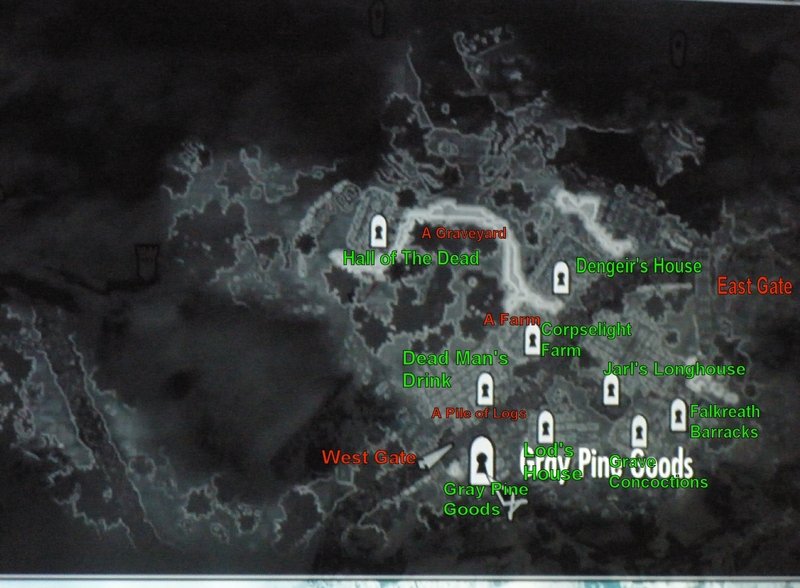 It's located southwest from Riverwood left side of the river, or northwest from Helgen. Fast travel to either one of those and take direction towards the Mine. No need for any special preparations, few healing potions won't be for bad though. This quest is moderately easy. When you enter to the Embershard Mine, there is one bandit guarding, take him down and head inside. Embershard Mine is perhaps a bit less than medium sized mine with regular bandits and one "boss" bandit, which is a bit tougher. It's got only one trap, some low level treasury, a Clairvoyance Spellbook. No special puzzles. When inside head down the slope, watch out for a trap right at the end of the slope (falling rocks if I remember correctly)! Walk near to wall carefully. You'll enter a large room with wooden bridge, with a level under it and above it where leads a path. There are three bandits here, moderately easy, kill them. Get over the bridge, don't bother going down the stairs to right as it only leads down to water level with dead end and nothing mentionable, follow the path straight up instead, take a turn to left at the T-crossroads and walk up, you'll end up to a ledge seen high left in the picture above. At the ledge is a Lever, pull it and it will lower a second bridge which extends from the one you crossed earlier. When you lower the bridge, two bandits will come from other side of it looking for you and most likely they'll head right to you to the top ledge. Kill both. Now get down to the bridge you crossed earlier and follow the new lowered down extended bridge. 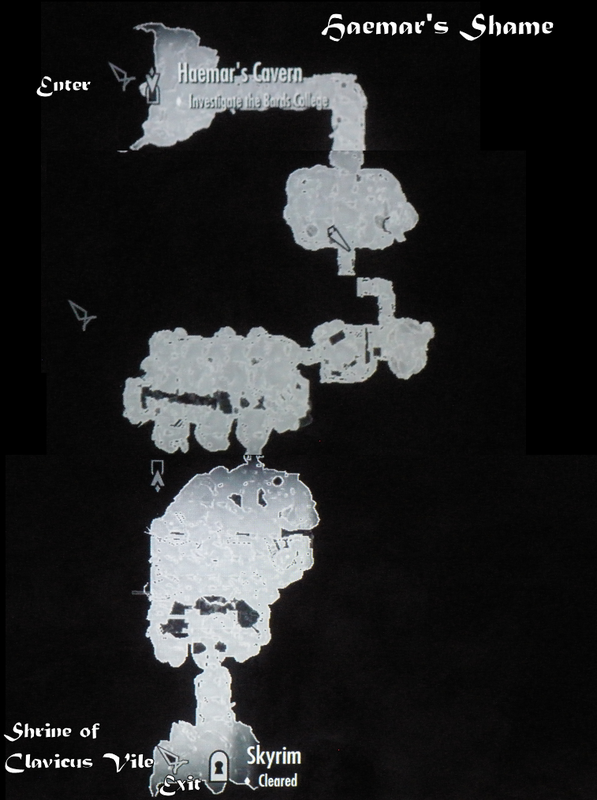 You'll face a slope that leads down, follow the path and keep on eye the right side wall - when you come upon "a whole", peek into it and grab Clairvoyance Spellbook on a table next to the hole. Right: there's a room you saw through the hole - got some treasures, check it out. I got me a Orcish Bow here. Left: dead end with nothing mentionable. Forward: Continue here after searching the treasure room. This leads you to one huge room, which is also the last one. In this room is the Bandit Leader you're set out to kill with two other weaker bandit types. Shouldn't be a big problem. One is located low right down the stairs at anvil. You could take him out first. The leader walks an hanging bridge right in front of waterwall (in the picture) and one more bandit is around the bridges also. Just hack'n'slash the leader and last bandit after taking out the one at the anvil. After done, take stairs down and check the anvil at the low floor. There's a few ignots too, this is a good little place to practice some smithing with the anvil and ignots - you can improve your current armors by using the ignots. When you're done, head over the bridges in the room and and move past the waterfall towards very end of mine, this path leads you out back to Skyrim. Easy wasn't it? Fast travel back to Jarl of Falkreath and tell the Bandit Leader is dead. Now ask Jarl for more work, this will be the last part. Follow this order presented here, but notice this: the last man to help might not show up untill you finish some other Falkreath quests first so just try and if you don't find him, complete other quests first! So at this point Jarl will ask you to help out three people of Falkreath for you to earn some reputation before you can be entitled Thane of Falkreath - which you will be after you're done with the quest. There are most likely few more possibilities of people to help, but there's at least three of which we are presenting next. The deeds you're set to do for help are very small and this quest is easy sort of one. There are two larger Quests (Ill Met by Moonlight and A Daedra's Best Friend) around Falkreath who are given by Falkreath folks, but these will not count in to the last Jarl Quest, so don't do them at least before you have helped out 2/3 people out. At this point you may do other quests IF the last man to help doesn't show up otherwise - otherwise leave the large ones to last. Help first citizen: At daytime head to the Dead Man's Drink Inn at western gate, in front of the Inn is a pile of logs where you will find an Elf, who will ask you to do him a favor. Accept it, and he'll ask you to bring ashes of his dead friend to other elf called Runil to Falkreath Graveyard. This is easy task, just head west side of Falkreath into the woods (Behind the Inn and other houses) and very close by is the graveyard, where should be Runil. Give him the ashes and task is done. 1/3 people helped for Jarl. At this point if you meet man called Mathies in graveyard, talk to him and he'll tell you about his daughter who got killed. Take the quest but don't complete it yet. Note: If the Elf doesn't show up, do first Jarl quest first. Help second citizen: At daytime, take main road from western gate 'till you see Corpselight Farm on your left (second house from western gate) and hit's backyard, or if you're at Graveyard still, head back east till you hit the town and keep on eye for a small farm field with plants and vegetables. View the plants 'till you find some Gabbage, now take Gabbage (one is enough and it's not considered stealing). Next step is to find Mathies, who can be found either at the very farm you just took the Gabbage from, from Dead Man's Drink Inn at the last room on right, or at the Graveyard. Now talk to Mathies and see option "I've Got some Gabbage to Sell". (I can't actually remember if this quest had to be started first so if you don't see this option - go through all his dialogue options untill you see this one shows up). Sell Mathies one Gabbage and he'll give you small amount of gold. This grants also the second citizen helped for Jarl and now you got 2/3 and one more to go. Note: If the dialogue option to sell for some reason doesn't show up, do quest Ill Met Moonlight first, if still not, do quest A Daedra's Best Friend and try again. Help third citizen: at this point you need to find man named Dengeir The Stuhn. He's in Dead Man's Drink Inn at days. Now there's a chance Dengeir won't be able to be found yet. Check the Inn, and here's what you have to do if he doesn't show up yet: Read this Guide ahead 'till you find Guide to two Quests in Falkreath, and how to complete them. These are A "Daedra's Best Friend" triggered by Lod the Blacksmith or Town's Gate Guard, and "Ill Met By Moonlight" triggered by Mathies. Do Ill Met By Moonlight First, because before this I didn't see a dialogue option with Lod to start the Daedra Quest. When you've done with it, check the Inn again for Dengeir and if he still doesn't show up - do A Daedra's Best Friend. At this point Lod should have his dialogue option about "a lost dog" and you can also check the western town gate if guard triggers it. After these Quests are done, Dengeir will show up at it's latest and you can return back to this chapter of the Guide. If you found Dengeir at this point, talk to him. You'll learn his story how he once was a Jarl of Falkreath but was plotted against by Imperial and current Jarl, demoted to "a Thane" and then driven out from court of Jarl all together. Dengeir believes Lod The Blacksmith is an imperial spy - for he has seen Lod writing long letters to somewhere. Denger is a bit paranoidic and asks you to to break into Lod's House, look for a "private letter", steal it and bring it to him. Accept the Quest and head up to Lod's house, which is second house on right from the western gate. You risk perhaps least to get caught, surprisingly, on day time after 10pm before 6pm. At this time Lod is smithing at his anvil on balcony of the house, so there's none inside. You need to pick the lock, but it's only novice level. Make sure no guard sees you though! Once inside the house, in front on right is a round table where the private letter is located on, take it and bring it to Dengeir. Turns out Lod is not an Imperial spy, but they are making him to smith more swords and armor for them than normally. The quest for helping Dengeir is now completed. You can talk him about open grave in the graveyard and trigger his second and last Quest right here (Miscellaneous: Kill Vighar the Vampire), actually take it for it to be ready when you're in phase to go for it. This counts as a third citizen helped, and you can return to Jarl to finish up the Quest. This was last one of Jarl's quests in Falkrath, so you're now done with those. Next up you have four more quests to complete which are triggered by someone in Falkreath, of which two are Major and two are Miscellaneous. So read ahead. This quest is moderately hard especially for low lever character. But has only one tough point which is the end boss. Other than that, it requires some time and running. You'll be set to take out a large werewolf in the end. To start this quest (if you didn't take it already while delivering some Gabbage to Mathies earlier on) you'll have to talk to Mathies, who's usually in the last room of right hand side in Dead Man's Inn (first house on the left from west gate of Falkreath), or he can be on farm behind Corpselight Farm's House, or at the Graveyard. Start conversation with him about her killed daughter and he'll tell you how some "beast" ripped her apart. He claims this beast was a man called Sindig and asks you to speak to him. Sindig is located within Falkreath Barracks (Jail Section) which is the most southeastern house in the city. Head to the barracks and enter in. Head upstairs and look for a book on a chest which is next to beds. You'll find a book called "Legendary City of Sancre Tor", read it and you'll get +Two-Handed. Now head back down to entry level and take stairs down from there to jail section where you'll find Sindig behind the bars. Stand next to the bars and talk to him. He'll tell you that he didn't actually intend to kill the little girl, but it was caused by a ring, which he had stolen earlier from Daedric Lord Hircine, so Hircine cursed the ring. Sindig turns out to be a Werewolf, who stole the ring because he thought it would keep his lycantrophy under control, but since the was cursed it instead turned things worse. So he enraged due the ring and killed the girl. Sindig will ask you to gain Hircine's favor by appeasing him, after which Hircine should show up to you and you could ask him to remove the curse from the ring. To appease Hircine - Sindig tells you that he had tracked down "a great beast" in forest, but since hes barred in he cannot hunt down the beast, so he'll ask you to do this instead. Accept the quest and head up to the forest, follow your map marker. The beast is a big White Stag, which is no danger at this point. However the Stag is very quick and will run off easily while regenerating it's health, which can be annoyance. Eventually it should run to a dead end to ruins of some sort where you'll get at last to slay it. At this point you might notice that the cursed ring Sindig gave you cannot be removed, it's stuck on your finger. While you've got the Stag killed, Hircine will appear as a form of a Stag. Talk to him and request him to remove the curse from a ring. Hircine will agree to do this if you do him a favor. You'll be asked to kill a Rogue in Bloated Man's Grotto. Agree to kill the rogue which takes you to next phase of this quest. By the way "the rogue" is Sindig, who you'll soon meet in his werewolf form. At this point it's wise to head up any major city and stack up healing and other necassary potions you feel your character will need in a battle. Sindig's gonna be very strong in melee and won't go down easily. After you're done with necassary preparations, head up to Bloated Man's Grotto. You can get there fast traveling to either Riverwood, Bleak Falls Barrow or Whiterun, of which at least either of those marker you should have by now. The cave is on north side below of high mountains, so when you walk to it be sure to choose northern side of mountain to walk along, will save you time. If you use south side you'll have to go around the whole mountain which will take far longer. Bloated Man's Grotto is small sized cave located west from Riverwood, Whiterun and Bleak Falls Barrow northern side below large mountain. As enemies it has Spriggan and Wolves normally - exception is when you're on Ill Met By Moonlight quest, when it will have only a Werewolf. 1. Kill him and claim respect of Hircine - when you do this, prepare for a tough battle for Sindig won't go down easily and is very strong on melee, you should have lots of healing potions right now with you. Follow the cave little bit deeper through in and out the ruins 'till you find him back in the cave and take him down. There is a trick available though if you feel you cannot take him, but it might take several tries before succeeding. I'm not sure if it works without doing it how I did so I suggest doing exactly like this: don't answer anything, just stand silently without picking any option untill Sindig says "Very well" then and disappears. Now head out of the cave, fast travel to Falkreath and head into Falkreath Barracks, go downstairs to the very jail Sindig was originally at. Find out that Sindig is raging behind the bars in the jail cell in his werewolf form. Make a save! Pick a bow and archer him down. You can shoot through the bars. This is a bit tricky though, because when he dies, he almost 100% surely falls back from the door to further down his cell, which is huge problem. This cell door cannot be opened and you need to be next to him to skin him after killing him. If physics of Skyrim make him fall back to his cell, he'll be unreachable to skin thus jamming the quest. This is what you do. Shoot him with bows (don't go too close to jail door) untill he has very little of hitpoints. Now go near almost next to jail door carefully, this will request you to be very quick after he drops down for you have to click his body before he falls out of reach. Approach little by little untill you are close enough for him to rage towards the door. If you're far enough he cannot reach to hit you. Use bow or magic to finish him off. When he falls down, immeatedly click his body before it's out of reach and you'll skin him. You need to give his skin to Hircine. If you're too quick to skin, the quest part "Skin Sindig" doesn't trigger, you'll still get the skin and Hircine will appear, he will even accept the skin and last part of the quest gets completed. The quest will move up to completed quests and you'll get your reward, yet it shows that second last part "Skin Sindig" is unfinished. Now I don't think this matters any because you still get last part completed. But if you're suspicious, try to fool around with killing Sindig so that when he falls, you wait a second or two hoping he doesn't fall out of reach and you've time to trigger the part "skin Sindig" which will appear to the screen. Either that or repeat so many times that Sindig doesn't fall back too much and you can reach his body behind the bars. If hes close, try to crouch, it will give you more reach. But I'm positive everything's alright even if second last part "Skin Sindig" isn't logged in completed parts of the quest, because you complete the last part anyway when you talk to Hircine and give out the skin. After killing Sindig and skinning him, Hircine will appear to you - talk to him. He congratulates you for a job well done and destroys the cursed ring. You' ll give him hide of Sindig you just skinned and Hircine will make a special hide out of it. Quest complete. Congratulations. 2. Let Sindig go and defy will of Hircine - yet to be tested. This quest will involve a lots of dungeon crawling and vampires. To prepare yourself be sure to have a companion, cure disease (for vampirism), healing potions and perhaps any magic resistance equipment, because many of the vampires use a lot of magic (I'm quite certain that spell is Drain Life but I've yet to confirm this). You'll have to visit two caves, Haemar's Cavern/Haemar's Shame and Rimerock Burrow. This might be annoying quest since it's quite long, and just when you thought you finished it, you'll be sent for one more cave. The quest is triggered by either a town guard at the west gate, or Lod will have a dialogue option about a dog, but you'll have to check both options. The quest also might not trigger before you have done at least one two first Jarl's Quests. I got mine to start when I have finished bringing Mead to Jarl (Jarl Quest 1) and killed the Bandit Leader for him (Jarl Quest 2). I had also helped 2/3 Falkreath citizen for Jarl (Jarl Quest 3), but couldn't find the last one yet, perhaps it required this and Ill Met By Moon to be done first. Anyways, mine started so, that after done few Jarl quests and entering the city second or third time, a town guard ran to me and was asking if I had seen a dog in a forest, Lod has been asking around for he is missing one. So, quest doesn't trigger at this point, but you know that you'd now to visit Lod at Lod's House. He's at the anvil next to his house on daytime (Second house on right from the western gate). Talk to Lod about the missing dog and he'll ask you to go into the forest for looking it. Accept the quest and head into forest from western gate. Follow the marker on your compass, the dog is not too far. When you approach the dog, you'll learn that it can talk. It tells you that it's actually some sort of a spirit, a servant of his Daedric Lord. Nevertheless the "dog" has had an argument with his master and is now asking for your help to reclaim his grace in the eyes of his master. The dog will ask you to follow him into the Shrine of Clavicus Vile, where you'll talk to his master. Accept the quest. You'll have to go into Haemar's Shame (map marker was added to your map), a cave and a landmark, in quite far eastern mountains. At this point, if you like you can travel with the dog or fast-travel to closer marker in your map and then continue on foot from there. It's likely that the dog will get lost on the trip anyways, for at one point on Helgen gates a thief may attack you and dog will disappear. Don't worry, the dog will go automatically to the Shrine. Fastest way is to fast-travel to Helgen (if you'vent got marker closer by) and then continue on foot from there. From Helgen, take a road to east up to mountains, there's a crossroads right after gate, take left road and you'll end up straight to Haemar's Shame. When you discover it, on right side of road is a cave entrance leading first into Haemar's Cavern (level 1) which leads to Haemar's Shame (level 2), where Shrine of Clavicus Vile is located at. Be prepared for some Vampire hunting. 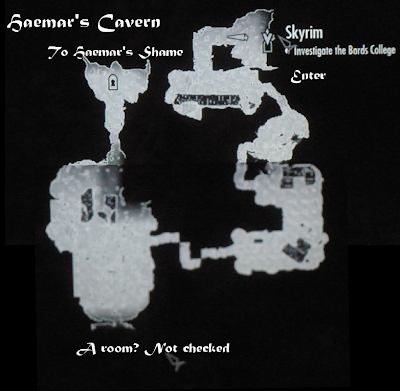 Haemar's Cavern and -Shame is a two level dungeon, quite medium in size. It's located high on Eastern mountains from Falkreath and Helgen on narrow pathway between mountains. It's a snowy cave with weaker vampires called Vampire Thrall and more powerful vampires, which are just titled "Vampire". They may rise a challenge for lower level characters. I was somewhere between levels 10-15 with an Khajiit assassin and Master difficulty when doing this, and it was a challenge. Bows are handy here due you can shoot between bars of the doors in many places. Be sure to have cure disease potions with you, fire spells should work fine, and anything resist magicka, or drain magicka will help against the end boss Vighar the Vampire, that is mage. Enter the cave and head down the path to the first room, where is just one Vampire Thrall, peace of cake. Take wooden stairs up the balcony and loot the chest in there. Walk down the stairs and continue path down - watch out a trigger plate which will set a trap on roof - walk close near either wall, down untill you come into a large room with wooden stars leading to below. Here will be a few Vampire Thralls and one regular Vampire that may raise little bit of challenge. If you're an archer with decent sneaking, it should be easy. Go into sneak mode, go to a wooden planks area and shoot once, when they come searching for you sneak (you have time) back to the northern pathway where you came from, inside the cave - wait behind a corner and observe your compass - when they leave, get back to the wooden planks and shoot again. Repeat untill you get them all. If you're an archer, pick vampires from here with a bow one by one. When you hit, fall back to the cave you came from to behind a corner. At this point you may go up the stairs to balcony ahead on high left and check Alchemy Lab out there, spend your ingredients to discover new effects. Now continue to west, it's last part of first level of this cave. There are several Vampire Thralls and perhaps regular one too. Again, if you're an archer, repeat same than last room. Sneak to the room, pick a target and shoot with bow, sneak back to cave you came from and wait behind corner 'till they come to search and leave back to their spot. If you do this right, they'll never search you far enough to reveal you from behind the corner. Once you've gotten them all, head up to the room and take stairs down to a pit in the middle of the room. When in the pit, check southern side of it, there's a few book cases and tables. On one of the tables find a book called "Bero's Speech" and read it. Grants you +Destruction skill. Go to north from the pit and follow cave path untill it leads you to second level, Haemar's Shame. Enter. Follow path until first big room, you can see some large spider eggs and there'll be one large Frostbite Spider. It can be moderately though, however if you've got archery skills once again, you can shoot it once and then head back behind a corner. If it doesn't notice you, it comes close but turns back always just in time. Otherwise just melee it or kill with fire. Proceed to southern passage, on the way you come across Arcane Enchanter at a table, if you got any useless things to disenchant or stuff to enchant, do it and then continue towards west. You come across a creek, follow it and take turn to right at the end (you cannot really lose since there's only one way) - this leads you to Shrine Of Clavicus Vile. You'll also notice that the Dog is already here waiting. While at the Shrine, walk in front of it and talk to Clavicus. It appears you did him a favor - for he was begged by vampires in the cave to set them free - but now you killed them instead. Now you get to ask for a favor. Tell him you came to unite him with the dog, there's no matter actually what choice you pick, Clavicus will still ask you to get him an certain Axe for he wants to have some fun with it (that's why his name is probably Clavicus the "Vile"). To help the dog, accept Clavicus's Quest to get the axe. It's located in Rimerock Burrow (map marker was added to your map). Now take your direction towards south and walk stairs behind the Shrine, follow up to get out of the cave. Check "Magic Tab" in the menu and under it "Active Effects" to see if you're infected by vampire disease - check for unwanted effects - if you are then drink cure disease (as it might be irreversible if waited too long). The next step of the Quest takes you very far, almost other end of the map. 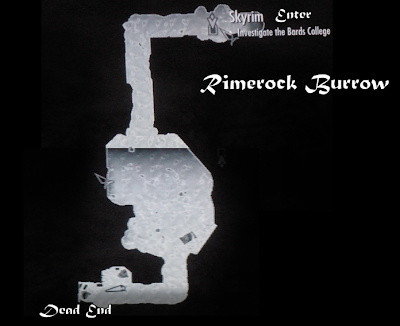 Rimerock Burrow is located in the most southwestern corner of Skyrim map. To get there fast, if you'vent got a marker, you should get first to Whiterun. If you'vent got it either, go to Riverwood and then head up straight to north to enter Whiterun. While there, pass the farm and close by the main gates. Before the gates there are stables and in front of them should be a carriage ride, which will directly take you to Solidute. At here you can get a companion from Whiterun at Inn if you already didn't have one, and get healing potions as well as resist magicka, for you've to kill a make on the way. So prepare that in mind. When you're ready, get back to the carriage and ask him to take you to Solitude for 50 Gold. When entering Solitude, take road straight to west and follow it. Rimerock Burrow is on northern side of the large mountain you're climbing. But it's not on below it, it's on almost on top of the mountain level. So what you want to do is follow the road as high on the mountain top that you can to the west. This way, if miss the correct way down to the right ridge, you can at least carefully climb your way down to the cave. Because if you end up too low, you cannot climb up and you've got a lot of walking to do again. Now try to find right road down from the top when you close in the cave, but if you don't go above it - Save Game! - and come down carefully. If you fail you can load up. Rimerock Burrow is a small cavern with no more than one large room. I'ts located in very northwestern corner of the map, quite high on the mountain, on a ridge almost way to the top. It has mostly Flame Atronachs and one mage called Sebastian Lort. Prepare for magical attacks and you should be ok. Enter Rimerock burrow and move to first and the last large room. It has but one Flame Atronach in front and a mage Sebastian Lort above the balcony on the back. He will most likely attack when you engange fight with the Atronach. I used Drain Magicka potions to take him out easier, he didn't cast on full potential. Earlier on without and Drain Magicka he conjured second Flame Atronach, which can be a pain since the mage is quite strong on his own. Once you finish him up, follow stairs to balcony and on left side check table, there's the axe you're looking for. Grab it and continue to Southern cave passage, don't worry, there won't be more enemies here. Follow the path and you'll come to a dead end with some treasures. First of all on right side of dead end is an end table and on it is a book called "2920, Hearth Fire, v9" - read and it grants you + Conjuration. On western end of this dead-end loot a chest, should have Spell Tome: Fury, gold, and magical item. Take your pick and the Quest is complete! Walk past the shrine to up the stairs to south and you're outside. Fast travel back to Falkreath and tell Lod the dog's gone. He'll give you only 25 Gold. Better than nothing I guess. This leaves me wonder would there been third choice for reward for bringing the dog back to him at some point? Way or another, you're done. But you still got a Quest to do. (At this point if Dengeir The Stuhn didn't show up at Inn earlier, he'll be there now at least. You'll do him the quest about breaking into Lod's house and getting a letter, this will grant you the last citizen to help for Jarl). You should now do second quest by Dengeir, unlike the first one of investigating Lod's house, this one's actually harder. It involves one quite large dungeon with several vampires and tough boss at the end. Prepare against magical attacks in this case too! Talk to Dengeir about an open grave on the graveyard, and he'll explain you following: many people think there's been a graverobber, but things aren't that good way. Someone has robbed a tombstone from a grave of Dengeir's ancestor, who turns out to be an undead vampire. Now the stone off the way vampire has escaped out to a fort to live with other of his kind. This knows more vampire hunt to you, so stack up a few cure diseases, resist magicka and heal potions at least to make it less painful experience. You need to travel to Bloodlet Throne and slay the vampire (map marker was added to your map). It's located on eastern mountains from Falkreath, deep within. A quick way is to fast travel Helgen and once again take the eastern gate out of town. This time when you come to two-split crossroads almost right away, take right path towards more south. You'll walk along this road for quite a while. You'll see soon a Fort Neugrad on your left, take a map marker, and continue the road up all the way untill the snowy top. Soon the landscape will turn more snow covered, at this point close by there's a random enemy pack. First time I got Bandit Outlaws and Adept Mage, on a second some more bandits and a Spriggan, so be prepared for one quite tough enemy at least. After killing these enemies, you'll very soon come across a spot where there is dense woods on your right side. You know you're close by now, split from the road to your right and rush through the woods. 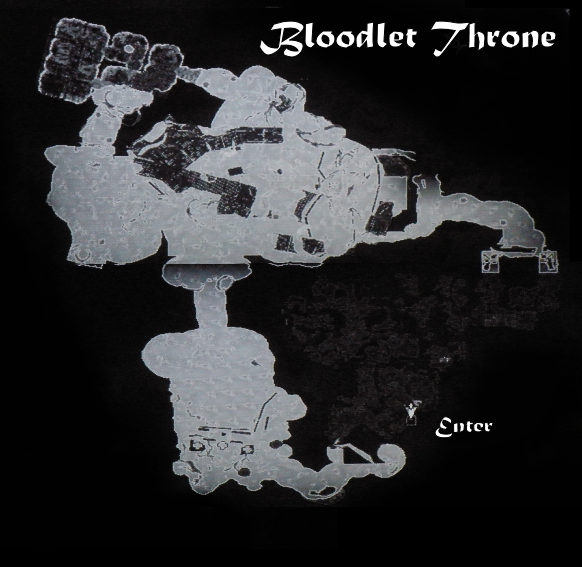 You'll come to Bloodlet Throne fort very quickly. Bloodlet Throne is decently large fort-like dungeon with several Vampires and Vampire Thralls. It's located southeast from Falkreath and Helgen, the best way to get there is from Helgen to western mountains and take a path up to south. The last room of Bloodlet Throne contains a Vampire Mage of some sort and some wolves along few regular vampires. It's best to have cure disease, lots of healing potions and resist magicka items with. Bow will become extremely handy due several of the doors being jail style doors with bars, where you can shoot arrows through between the bars. Walk stairs up and enter the fort. When you enter, right in front of you is a trap attacked to a first door and triggered by a plate in fort of it. Watch this out and round the plate from either side of the room. Proceed rounding the trap and you enter a large room, view to your left. There is a window with bars and you can see to a level below. The vampires in this room are there on below. There are three or four Vampire Fledgings and Vampire Thralls. Not too tough ones. Once you're at the window, you can sneak and archer down few of them from here. Once you've cleared the room, walk stairs down below and then take pace to to eastern door in the room. You'll enter small room with a round table and only one Vampire Fledging, take him out and proceed towards a northern cave. This is where things get bit tougher and amount of vampires grow. You'll enter a very large cave-like room with several vampires, mostly Fledging and Thralls. Although quite easy, they are still many. There are probably 7-8 Vampires all together. There's a table in front of you bit further where is two vampires, there might be more on right side stairs leading high, and there is definetely even more on the right hand side bridge you can see in next picture. However they will have to go around a bit to get to you. If you're assassin type of character with bow, it's easy to take the ones you see at the table out long range. If you use sneak mode, they hardly ever search far as where the picture is taken from. Note that you might not be able to see the ones on right side bridge from here, but when you proceed after killing the ones at the table, they'll most likely notice you. If you use bow however, you won't face too many at once attacking you so it should be moderately easy case. A large room with several vampires, front, high right and high left. When you're done with this room, proceed up the stairs on right side - notice that there's Arcane Enchanter on the way up - if you have anything to disenchant or enchant now it's the time. On the top, follow a cave path towards west - you'll come to three way crossroads. The middle and rightmost will run a circle, while left one leads you forward closer to Vighar. At this time take right one and go thru jail door. You come to a small room, and in north end of it there's a Book called Incident In Necrom - read it and you'll get +Illusion. The table also should have magic weapons, few magic scrolls and potions. These might come handy later on. Check the next room to west for some more magic scrolls and potions, then return back to three-way crossroads. This time take left pathway and walk on, take turn to left at the end and cross a bridge, turn right into a slope. Follow it down to a gate with bars. This is the grande finale. In the middle of the room is few wolves and behind them high on the balcony is Vighar. Along him hes got some more help, two Vampire Thralls and one Bandit. The rest are not so tough but Vighar is quite challenging. He will use some magic, I think Drain Life, whatever it is, it hurts bad. Now you can do this the hard way, or you can do this the easy way. Hard way would be pulling a pull chain right side of the gate and open up the gates. They will all charge you then. The easy way would be again, taking your bow, walking next to the gate in sneak mode and shooting them one by one. You might want to ask your companion stay back bit further if you decide to shoot arrows, or otherwise he will rush towards the gate and surely get slaughtered by Vighar's spells. I messed this up myself and my companion died. You should probably start the killing with regular Vampires and kill Vighar last. They cannot open the gate, so shoot at them and when they get close to gate, fall back out of their range and continue shoot arrows through between gate bars. This way it'll be easy. When you've finished taking them all down, open up the gate with the pull chain and enter the room. On right side there is another gate with a pull chain that leads up to balcony. On left side is few wolves behind bars. Open up the gate with the chain, wolves wont get released, move up the stairs to balcony. There's a switch up there in front of benches, but it's a waste of time. The Switch will only open up lower gates to release two wolves but their cages have no anything to loot anyway, so you'd better just head up to eastern path which will take you back to the very first large room. Along the way, there's a chest, loot it for a few good magic items. I got Staff of The Flame Atronach. Proceed to a barred door, raise the bar by clicking it and bingo you're almost at the beginning again, now head out this rotten hellhole. Once again check "Magic Tab" in the menu and under it "Active Effects" to see if you're infected by vampire disease - check for unwanted effects - if you are then drink cure disease (as it might be irreversible if waited too long). Travel back to Falkreath and enter Dead Man's Drink Inn - there talk to Dengeir and tell his ancestor Vighar is dead. Reward: 200 Gold which is quite lame for decently hard quest so hopefully you got some magic items worth something out of it. That's it folks! This is our Falkreath Guide so far. You should now have gotten all quests possible to get here. There's one additional one we haven't described yet and that is triggered by finding a Book in Dengeir's House called "Forbidden Legend", reading this will start Miscellaneous Quest called "Investigate the Gauldur Legend". You can go for it if you like. Maybe we'll add this later on to this Guide. Heading out for new adventures in new town? There's also one quest-line leading you to city of Markarth if you're ready for to take your next step and move out to next major city, and it is actually activated in Falkreath. After you've finished all Falkreath quests, you should be able to find a man called Sam Guevenne in Dead Man's Drink Inn. He'll cheat you into a drinking competition, eventually you feel oozy and he lures you elsewhere. When you wake asleep, you found yourself at Temple Of Dibella, which is actually located in city Markarth, and you've caused a mess in temple while being drunk, or that's what the worshippers claim. You can get two quests at the temple: find a clue from Senna that leads you after Sam in quest A Night To Remember - and break into Inner Sanctum level and interrupt the ceremony, to make this up you'll have to get them a specific girl from Karthwasten in quest The Heart Of Dibella. Check out Inner Sanctum for some goodies and loot if you're a thief. More about these quests later, if we do Markarth guide, for they belong to this area. I have done all quests possible in Falkreath, still Jarl Siddgeir will not give me the dialouge option to ask him for work. I really want to be Thane in this town. Any suggestions on how to proceed? Did you do the other Quests before going to talk to Jarl the first time? I'm aware some people have had problem with getting dialogue option for work, yet I never have. That's weird, I hope someone figures out why it happens that sometimes there's no dialogue option for work and shares it. Jarl's Quest to get your Thane title involves 1. first getting him the Mead from tavern 2. Clearing out bandits from Emershard Mine and 3. Helping out three people with miscellaneous small Quests (Sell Gabbage to Mathies, Deliver ashes to Runil at Graveyard and steal Lod's personal letter for Dengeir of Stuhn). I'm not sure if that third quest (help three people) mini-quests can be completed without taking the quest from Jarl in the first place? Maybe there's a bug that if you help these three people without having gotten the Quest from Jarl then you cannot complete it seperately for Jarl anymore? I don't know, but it's only sensible thing comes to my mind, have you done any of those mini-quests that are also involved in Third Jarl Quest? I myself did just in the order this Guide has, and went directly talk to Jarl when I entered Falkreath. I then asked him work and delivered him the Mead he requested, then did for him the Kill Bandit Quest and took following quest - the third - to help 3 people in Falkreath. In this order I had no problems, perhaps something is bugged if you do other mini-quests involving helping citizen first before actually getting that quest from Jarl. PS. Did you deliver the ashes to Runil at Graveyard before you went to talk to Jarl? I'm just thinking possibilities. The very first thing I did in Falkreath was to find the dog, it was just when I was passing through once a long time ago. When I later returned to Falkreath I went to talk with the Jarl, ignoring all other people in the town. But when the Jarl didn't offer me anything but his two standard dialogue options I started making other quests. The mini-quests, you were talking about, can be completed without gaining the Thane quest chain from the jarl. These mini-quests are not quests you "unlock" by doing the two first parts in the Thane quest. They are there all the time. For instance when I became Thane for Winterhold, all I had to do was to walk up to the Jarl, ask for some work, did what he asked of me. He was pleased and told me that if I gained the towns favor I could become a thane. Since I had previously already done all the quests in the mage college and in the town I could just talk with him again and he made me a Thane. From what I have researched around the internet it says, and I quote: "Some of the radiant AI quests don't actually have requirements, and just become available randomly." But "randomly" could just be the effect of a bug, or maybe that you've initiated the quests in the wrong order, as you speculated in. I'll wait and see, I really hope to find a solution to this because being a Thane in all cities would be quite awesome. Thanks for the fast reply by the way! Hmm interesting.. :o Well I also tried to do some research on internet as I'vent got other character yet or old savegame to test again does Jarl give the Quest normally another time. Someone had had this problem solved simply just fast traveling back and forth between other towns and Falkreath untill Jarl just got the "i'm looking for work" option available. Now thats weird. By the way, this is not related to Jarl, but how did you finish the Dog Quest? Did this quest lead you to Shrine of Clavicus Vile in that Vampire cave of Haemar's Shame, or did you just return it to Lod (I don't know if this is possible)? I don't believe it's possible to return the dog to the owner. It did not appear any clear dialogue options that would make it possible to return the dog to Lod, and I fully intended to return the dog to Lod because dealing with Daedras... Well, it's often messy. The dog lead me to the Shrine of Clavicus. Once finishing the quest line at the Shrine I chose to not kill the dog, mostly because I dislike striking deals with Daedra lords, especialy Clavicus, however. With the dog alive and all, I could not make him follow me to go back to Lod or anything. Just gonna say that I found out a way to get the Jarl to give you the quest. After I managed to pull myself away from all the smaller quests that can be found throughout Skyrim I went down the road to kil Alduin. And so I did. When I returned home with Alduin dead, I headed to Falkreath and the Jarl of Falkreath actually asked me to fetch him a drink this time. Doubting my eyes I saved and then reloaded and talked with him again to see that it was actually happening. And yes, he wanted me to fetch a drink for him. And so I did, and now Im a Thane in Falkreath too! I myself went straight to Jarl with only 1/3 of small quests done. Didn't kill Alduin, but what is the Alduin? By Alduin do you mean any random Dragon generally or was he Quest related? I did not find a Dragon on roads near Falkreath so I'm thinking yours may been random generated one -- might not been the reason to trigger Jarl give the quest, but who knows? But cool that you got it anyway, congrats for a new Thane of Falkreath. Hello. I am having the same issues as the other poster, the Jarl won't offer me any work. Still none haven't really figured out what causes is. I'd suggest to try out saving when standing next to him, then exit game and load it. Try to talk him again. If it's jammed script which is common in Skyrim, then it could help saving and reloading next to "jammed up" person. but what is the Alduin? By Alduin do you mean any random Dragon generally or was he Quest related? I did not find a Dragon on roads near Falkreath so I'm thinking yours may been random generated one -- "
This dragon was without any doubt Not random generated. Alduin, as in the last boss in the main quest. The huge black dragon that is the reason behind the dragon problem skyrim faces. The dragon that the whole game sort of revolves around beside from the Stormcloacks and Empire quests. Very freakin'cool guide. Keep up the good work. Thanks :) Yes true, Anonymous, checking back with him regularly when you finish something (main Q) up may work. Good suggestion. However, the first quest you have to do for the Jarl can be blocked if you have another variant of the Rare Gifts quest under the Miscellaneous section in your journal. If you do, complete it. If you don't, visit all the other possible quest givers, and if any of them offer you the quest, complete it, then check back with Siddgeir again. Repeat if necessary. That's good info Ereshkigal. It's well known that there is some issues with the Jarl Quest but didn't know of this one. I have a glitch with the Embershard quest. I had already cleared that mine and the quest won't clear. The quest arrow just points at the floor in the cave/mine and there's no bandit leader to kill. Does anyone know a command prompt to clear this glitch?